Thomas Tramaglini, 42, has been charged with lewdness, littering and public defecation. Remember the superintendent of that New Jersey school district that was accused of obsessively pooping on a high school's track? The Kenilworth Board of Education accepted Thomas Tramaglini's resignation on Thursday, The Star-Ledger reported, nearly three months after he was accused of pooping daily on Holmdel High School's track. The board apparently sent out an email to staff in the district, saying the whole thing was too much of a "distraction" for him to continue on at his post. "Based on events unrelated to his service for Kenilworth, it has become clear to both Dr. Tramaglini and the Kenilworth Board of Education that his continued service as Superintendent of Schools has become too much of a distraction to the main mission of the district," the email states, according to The Star-Ledger. 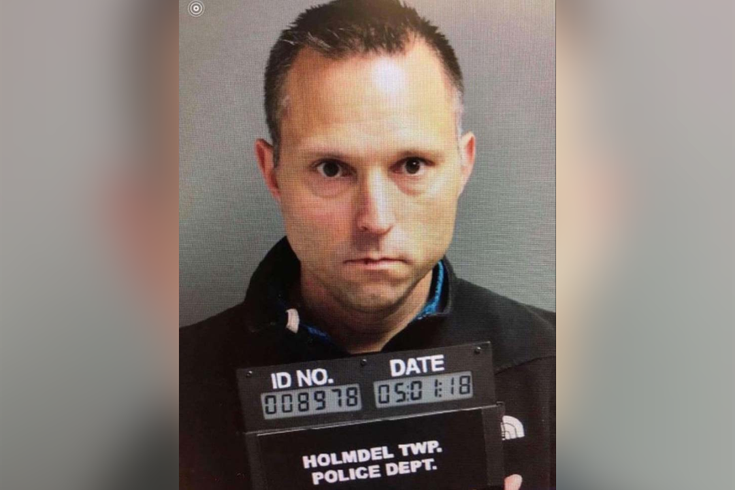 Authorities say surveillance video captured Tramaglini in April after an early-morning run at Holmdel High School; school staff had been watching to see who was leaving human feces on the track so often, the AP reported. He was put on paid administrative leave in May. The Holmdel Police Department charged Tramaglini on May 3 with lewdness, littering, and defecating in public. A court hearing is pending. "Dr. Tramaglini will continue to fight the allegations made against him in Holmdel, and will also hold those responsible for the malicious narrative that has been spread about him to account for their misconduct," a statement from Tramaglini's lawyer read. "No aspect of this difficult decision should be construed as an acknowledgement of guilt. Dr. Tramaglini is steadfast in his resolve, and looks forward to the day when his full story is told." The board has reportedly begun its search for an interim superintendent for the upcoming school year.